You are going through a really tough time, and it’s completely understandable that you feel lost. For now, you just need to know that you are not alone. Postnatal depression affects thousands of women every day. It is also a treatable condition. You can get help. Don’t put it off. Don’t pretend it’s not happening. Get help as soon as you can. Delaying getting help can make the situation worse. The sooner you get help, the quicker you can set out on the road to recovery. The first thing you need to do is go to your local GP and tell them about how you’ve been feeling. Your doctor will be able to take you through treatment options that are available. It’s also a really good idea to visit a therapist, counsellor or psychologist. Talking about what you’re going through, and being able to name and understand that the things you’re thinking and feeling can be a really powerful recovery tool. A therapist can also give you management strategies to help get you through your days and nights. You can find a therapist through the Australian Psychological Society. Alternatively, you can contact the counsellors on the PANDA (Post and Antenatal Depression Association) helpline by calling 1300 726 306 (Monday to Friday, 9am to 7pm AEST). 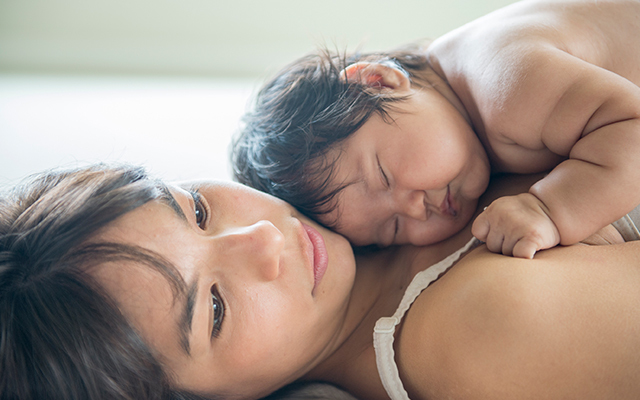 If you’re feeling low during the late night/early morning hours, it may also be a great idea to contact the 24 hour Maternal and Child Health Line (24 hours) on 132 229, or Lifeline’s 24 hour hotline, on 11 13 14. It is hard to admit when we need help, and often we don’t want the people around us to know we’re struggling. But opening up to your partner, your mother, or your friend can help unburden you. Knowing what you are going through, can also be really helpful for those around you. They can understand why you are behaving in different ways. It also lets them offer you support. Which you need. They can step in and help with things while you focus on getting better. Remember, you don’t have to go through this alone. You can and will get better. This time will pass, and sooner than you imagine, you will be bonding with your baby, and this will be a memory. But you have to take the first steps to recovery.